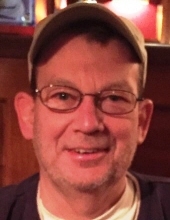 Robert Charles Tatnall, 66, of Camp Hill, passed away Saturday, April 13, 2019 at Carolyn’s House of Hospice of Central PA. Surviving are his sister, Karen Haack of Mechanicsburg; a brother, James Tatnall (Tina) of Harrisburg; a nephew, Hershel Underkoffler (Jamie) of Williamstown; nieces, Adrienne Daniels (Tom) of Lansdale, Kristen Hitchings (Jarret) of West Chester, Marci Houck (Chris) of Harrisburg, Michelle Troha (Dan) of Charlotte, NC and Jennie Krebs (Jon) of Enola; grandnephews, Hershel, Gabriel, Bohdan, Ollie and Lincoln; grandnieces, Anna, Abby and Amber. Bob retired from Pinnacle Health in 2015 with over 41 years of service. He was a graduate of Penn State University where he was a member of the Phi Kappa Sigma Fraternity and a graduate of Cedar Cliff High School. Born on April 15, 1952 in Harrisburg, he was the son of the late Charles G. Jr. and Gene G. (Gilmore) Tatnall. The family would like to thank Bill Fulton and Paula Nalewak for assisting with Bob’s care. Without them, this journey would have been much more difficult. We also want to thank Hospice of Central Pennsylvania and especially Dr. David Wenner for providing the best care and support a family could possibly imagine. “Uncle” Bob will be greatly missed, especially during the annual trip to the Jersey Shore. His annual “Reading” will never be forgotten. We will miss you Bob. Now, it is time to go to sleep. Memorial services will be held at 11 AM on Saturday, April 27, 2019 at Parthemore Funeral Home and Cremation Services, New Cumberland with Bob’s brother, Jim, leading the services. Visitation with the family will be held one hour prior to the services in the funeral home. In lieu of flowers, memorial contributions may be made to Hospice of Central PA, (http://hospiceofcentralpa.org/), 1320 Linglestown Rd, Harrisburg, PA 17110. For more information or to send messages of condolence, please visit www.parthemore.com. "Email Address" would like to share the life celebration of Robert Charles Tatnall. Click on the "link" to go to share a favorite memory or leave a condolence message for the family.